DESIGNED and DEVELOPED in CALIFORNIA USA. 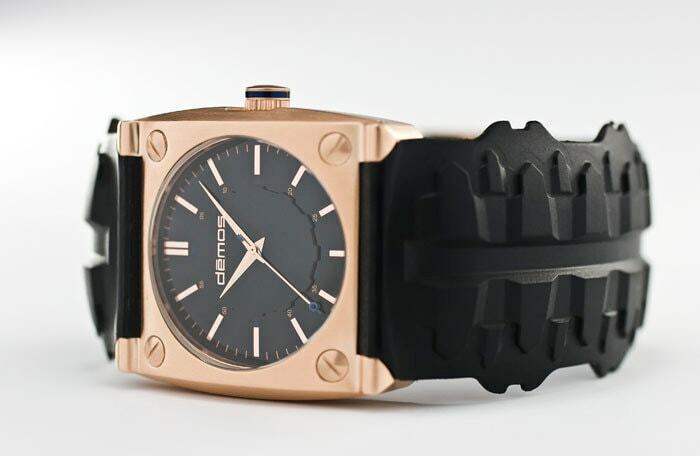 Heavy duty rubber "Tread" watch with quartz movement. Water resistant to 100m (333 ft.). Motorcycle or Bike / MTB / Mountain Bike Chain & Tread watches by Demos Watch Co. Encinitas, California, USA. Founder Mark Demos / Designer John Cupit.